Why poverty and why hunger? Hunger/Poverty can it ever go? Poverty and hunger are bedfellows and are inseparable when it comes identity. Hunger is the most commonly used term to describe the social condition of people who frequently experience the physical sensation of desiring food. It is therefore easier to say that when one uses the mirror of hunger poverty is always seen vividly at the periphery hence poverty can be viewed as the state of one who lacks a certain amount of material possessions or money. Poverty has become endemic across the globe with countries striving to find solutions to this silent but yet still known killer. About 1.7 billion people are estimated to live in absolute poverty today. About 25,000 people die every day of hunger or hunger-related causes, according to the United Nations. This is one person every three and a half seconds and most unfortunately, it is children who die most often. Yet there is plenty of food in the world for everyone. The problem is that hungry people are trapped in severe poverty. 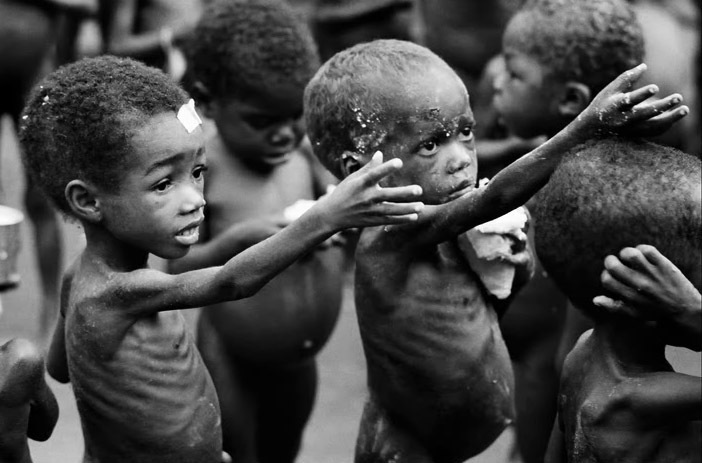 They lack the money to buy enough food to nourish themselves. Being constantly malnourished, they become weaker and often sick. This makes them increasingly less able to work, which then makes them even poorer and hungrier. This downward spiral often continues until death for them and their families. Without doubt, Africa’s poor suffer the most from high food prices, as they rely on a few staple crops for survival. This year the Horn of Africa faces its worst drought in 60 years, according to the UN Office for the Coordination of Humanitarian Affairs. Millions of people in Djibouti, Ethiopia, Kenya, Somalia and Uganda will face severe food shortages. Oxfam identifies the sub-region as one of the world’s “food insecurity hotspots”. According to the UN World Food Programme (WFP), millions are threatened with starvation in eastern Mali, northern Cameroon, Chad and Niger. So I ask again, why hunger and why Poverty? Are we going to extinguish these sufferings once and for all or we’ll wait for more people to die or a whole generation to vanish? • Less than one person out of five has electricity. Out of 1.000 inhabitants 15 have a telephone line, and 7.8 out of 1.000 people surf on Internet.